Revolution Slider Error: Slider with alias invasive not found. 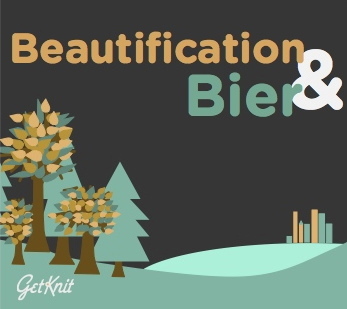 GetKnit is all about cultivating community and for this get-together are taking that goal literally by partnering with Minneapolis Park and Recreation Board to help cultivate the land and beautify our city. Recently, Minneapolis was voted the #1 city in America for our parks, and for one special morning GetKnit will be joining forces with the City’s beautification team to help them maintain that status! The morning will take place at Theodore Wirth Park in Minneapolis where your GetKnit Gurus will be waiting at the Quaking Bog (between the frontage road and Glenwood Ave. on Theodore Wirth Parkway) to check you in and arm you with everything you will need to beautify this beloved landscape by removing invasive plant species from the largest park in the Minneapolis Park system. Following two and a half hours of serving our community, we will hop into our respective cars and head over the river to New Bohemia, the latest addition to the tapestry of Nordeast, which boasts a respectable wurst and bier list. There, we will enjoy a refreshing pint of one of their delicious tap biers, as well as a take-home GetKnit pint glass as a continued thanks for your service to our city. If you decide to indulge in one of their wursts (which we strongly encourage!) they will throw in a complementary side of fries and potato salad. Help 612 stay beautiful and drink up 612 brew as your reward. We love our city and it shows. Thanks for choosing to volunteer!